I run a small game publishing company called Stonemaier Games. I write this blog with the sole purpose of making crowdfunding better for creators and backers. The vast majority of content I’ve written is geared towards creators. I share my mistakes, my shortcomings, my ideas, my observations, and my insights as both a creator of 6 projects and a backer of over 125 projects to help my fellow creators do a better job of serving you, the backers (which I believe will translate into success for those creators). However, it isn’t only creators who determine a project’s success. The vast majority of that power is solely in your hands–you, the backer. You have the power to bring a project to life through your funds and social media. You have the power to make a project better through your opinions, input, and expertise. And you have the power to help the creator build community during and after a campaign through engaging, passionate, and empathetic conversation. With all that great power comes great responsibility. So today I’d like to address you, the backer, to talk about the impact you have on creators and projects. The way you engage with creators has a direct impact on how that creator treats you and other backers, and I’d like for you to realize the full extent of that power. I should say that I can’t speak for all creators–I can only speak for myself. I’ve had the honor and privilege of serving over 10,000 backers, and I’ve learned so much from them. Below I’ve compiled a list of 20 recommendations I have for backers like you to be aware of how your actions can impact a creator, the project, and your fellow backers. Give creators the benefit of the doubt until they no longer deserve it. Skepticism on Kickstarter is perfectly natural. We’ve all been burned by creators who simply dropped off the map for months at a time, never reply to messages, or deliver something subpar. But some creators genuinely want to try their best to create something awesome for you, and you won’t know who those creators are until you give them a chance. This is especially important for first-time creators. Just as a creator’s greatest tool is empathy towards backers, a backer who has empathy for other backers will create a better experience for everyone. Some of the best crowdfunding projects give backers the chance to contribute in some way to the product itself, whether it’s through a poll or a comment thread or some other way. These tools of engagement only work if backers understand that the majority may not want the same thing they want. This is called empathy. It’s the art of being able to put yourself in someone else’s shoes (not literally. That would be a logistical nightmare). The opposite is “backer entitlement”–the idea that you want the thing you want, and no one else matters. Projects are better for everyone when backers have empathy towards one another. If you don’t like a project, don’t back it. 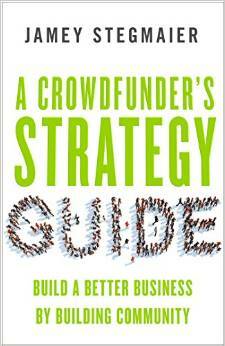 Crowdfunding is a capitalistic endeavor, and that’s what makes it great. If people don’t want a thing to exist, they simply don’t pledge money to it. The thing is, sometimes other people are different than you, and they want the thing to exist. Despite that truth, sometimes I see people go way out of their way to really bash a project. Why would you spend your time and energy on something you don’t like? Why not funnel all that energy into something you love, and leave the people alone who love the thing you don’t care for? If you don’t like a final decision a creator makes in the middle of a project, it’s okay to simply cancel your pledge. This concept came up on a recent big-deal project on Kickstarter. There was a vote sometime in the middle of the project regarding a piece of art, and like with any vote, some people’s choice didn’t get selected. A small percentage of those people made a huge stink on social media. However, a more graceful approach to not getting your way would be to simply cancel your pledge. That’s another part of the beauty of Kickstarter–no one is holding a knife to your throat to keep your pledge during the project. You can simply take your money and go back something else. Or buy 20 Slurpees. Or decide that there’s a lot of other things that originally drew you to the project beyond a single piece of art, and you can keep your pledge. You have a direct impact on the success of a Kickstarter project. Two stories: One, when we were approaching the $450,000 stretch goal on Tuscany, a few backers begged me to lower the stretch goal so it would be easier to reach. My stretch goals are calibrated based on specific calculations and economies of scale, so that wasn’t possible. Instead, I tried to remind those backers that they had the power to push the project closer to the goal by sharing the project with other people who might like it. Similarly, I saw on a recent project that was on a failing trajectory a comment that said, “I reduced my pledge to $1 to make this comment, then I’m canceling my pledge because there’s no way we’re going to reach the funding goal.” The logic behind this statement baffled me (and even the fact that the backer took the time to reduce his pledge, leave one final defeatist comment, then cancel his pledge). Share projects you love with people who will love them. That’s how projects succeed. The power is in your hands. Your emotions are a powerful tool–use them sparingly and responsibly. Consider these two statements: “I’m missing a card–can you help?” vs. “I’m incredibly hurt and sad that I’m missing a card–can you help?” Both say the same thing, but the second has a different impact on a creator than the first. It digs deep–it says that a mistake we made had a profound impact on you. However, is that true? Did a missing card truly make you feel “incredibly hurt and sad?” Those are the words I’d use if my cat died, not if I’m missing a tiny piece of cardboard. Keep public matters public and private matters private. During active campaigns, I often get private messages from people with general questions about the campaign. I answer them, but I also encourage them to post the questions publicly–they’re probably not the only people with those questions. Conversely, I also have backers who post in the public comments about their specific shipment. For your sake, I’d prefer not to post your personal details (tracking number, address, etc) on a public forum, so those questions are more effectively directed to a creator via private message. Please fill out the Kickstarter survey when you receive it. Every creator works differently, but I can say this universal truth: When a creator sends you a project survey, it’s because they need you to fill it out. Need, not want. For example, I send out my project surveys soon after the project ends because I need to figure out exactly how many units of each SKU to make–particularly the limited print runs–and I need to know how many of each SKU go to various fulfillment centers around the world. Sometimes I can figure out what someone pledged to receive, but for larger pledge amounts it’s almost impossible to break down the pledge. To this day I have a backer on Tuscany who pledged $320, and he hasn’t filled out the survey, so I have absolutely no idea what his reward is. I just hope I still have it in stock when he fills out the survey. Also: On Kickstarter, questions on the survey mandatory by design (we can’t choose to make a question optional or mandatory). Every now and then I get the nastiest notes you’ll ever read from people who don’t want to answer a question that doesn’t apply to them. Just write “N/A” and move on. You catch more flies with honey. The other day I saw that my cable bill went up unexpectedly. I called the cable company and cheerfully explained the situation–I was just a curious customer trying to learn more. The rep ended up finding a special discount for me. Now, I could have called the cable company and laid it into the rep, demanding recompense. Maybe I would have even gotten the same result. But I would have made another human being feel bad for simply doing their job, and in turn that might affect the next customer they deal with. All of this applies to Kickstarter–creators are human, and as hard as we try to treat all backers exactly the same, it’s human nature for us to respond better to the nice notes than the nasty ones. Before accusing a creator of not updating backers, check the date and content of the latest project update (or your e-mails spam folder). I don’t know if other creators experience this. I update my backers on a regular basis–generally every 2 weeks after the project or whenever something important needs to be said or asked. But without fail, every now and then I get a furious e-mail from a backer accusing me of not updating him or her on the project’s progress. Usually this happens 1-2 days after I post a project update clearly describing the project’s progress. Granted, I don’t expect every backer to subscribe to project updates. It’s my job to keep them interesting enough so people don’t unsubscribe. But if you’re going to accuse a creator for not updating you, perhaps consider actually checking the most recent project update (or your spam folder) beforehand. Also: If the creator gives you their e-mail address, save it in your contacts list so it doesn’t go to spam when you get a really important e-newsletter asking for your address updates. Don’t ask a creator to make an exception just for you. During the Viticulture campaign, a backer in Europe contacted me about a $79 reward level. I can’t remember which country he was from, but he said that he was going to get hit with a high customs fee if he paid any more than $65. So he asked if he could pay $65 instead of $79. I was young and naive then, so I agreed to it. But I’ve never forgotten about that request, because in hindsight it strikes me as to how unfair and inappropriate that request was to other backers and to me. Kickstarter isn’t charity. These things cost money, and the reward prices aren’t arbitrary for the vast majority of projects. It’s not just about the money, though. I get requests for exceptions all the time–add this, sign this, send this to two different people even though only one shipping fee was paid, etc. I try to treat all of my backers as individuals, not numbers, but that doesn’t mean I can customize rewards for each individual backer. The harsh reality is that almost every mistake I make–particularly in shipping–leads back to an exception I made at some point. Exceptions are really hard to keep track of, and they lead to mistakes. The point is, out of respect for your fellow backers and the creator, don’t ask for special exceptions. Estimated delivery dates are estimates, not hard dates. It’s the creator’s job to accurately estimate the delivery date to the best of their ability and then keep backers updated on the progress. However, I think we could all help each other by removing the concept of a project being “late” from our crowdfunding vocabulary. The word “late” has a strong element of shame to it, and there’s nothing shameful about taking your time to make something well instead of rushing it and delivery something subpar. The very essence of funding something on Kickstarter is that the thing doesn’t exist yet. There’s so much that happens between then and the moment that it arrives on someone’s front door, and the best we can do is ESTIMATE when that moment will be. If it’s delivered after that date, it means the estimate was incorrect, not that the project was late. I think this is tough for a lot of people because sometimes we count on something showing up at a particular time or a project is delivered way after the estimated date. For example, I pledged to receive a special camera to give to my sister and her husband to catalog the first few months of my niece’s life. However, the camera didn’t arrive until my niece was 1 year old. It’s unfortunate, but I still didn’t consider the project late. It just wasn’t ready until it was ready, and then I received it. Stick up for projects you believe in–you are a more powerful advocate than the creator. Sometimes a backer will post negative or constructive criticism about a project, whether it’s on the project page, Facebook, or some other form of social media. The creator can chime in to respond, and often they should do so. But a creator is also inherently biased. So if you disagree with the other person’s assessment of the project, speak up! Do it respectfully, of course. In many scenarios, your words speak much louder than the creator’s. It’s okay when a project only has some finished art–that’s often why a project is seeking funding. I recently saw someone criticizing a Kickstarter project because it didn’t have completed art. It had some completed art, but a lot of it was in progress because, well, they needed to raise the money to afford it! Yes, there are many projects on Kickstarter that are printer-ready, but I think it’s important to keep in mind that for crowdfunding to really work, we need to be open to projects that need every cent to get it off the ground in the first place. Specific affirmation is just as important as constructive criticism. My perception is that 99% of my backers are happy. But the backers I hear from the most are the other 1%, the ones who want to take a dump in their Viticulture box and light it on fire on my doorstep. All feedback is important, even if sometimes I have to translate the really nasty comments into helpful lessons. Nor do I really want to hear from every one of the 99%. But I can honestly say that it’s super helpful to get specific positive feedback every now and then. That type of feedback–which I most often hear after going out of my way to solve a problem for a backer–affirms that it’s worth going above and beyond for backers. It makes me want to be a better creator. I’m not asking for backers to pamper us creators. But every now and then, when you see a backer doing something you want them to do again in the future–for you or for others–reinforce that behavior with a specific affirmation. When you ask a creator to look up something inconsequential for you, ask yourself, “What if every backer asked the creator to do the same thing for them?” This goes back to empathy again–particularly empathy with the creator. Here’s an example: The other day I sent out a notice to Tuscany backers saying that stickers some of them requested were being shipped out on Thursday and Friday. I got a few e-mails afterwards from backers asking if I could look on my spreadsheet to see if they had requested the stickers. Now, I understand–they were curious, and they didn’t mean any harm. But they could also just wait a few days to see if the stickers arrived in the mail or not. It’s one of those scenarios where I think a backer should stop for a second and think, “What if every backer asked Jamey to do this for them?” If all 4,333 backers on Tuscany asked me to look on my spreadsheet and write to them about whether or not they requested stickers, that would be all that I would ever do. I wouldn’t have time to make more games or reply to more immediate questions or write blog entries like this. The little things add up, so ask the questions that really need to be answered. Instead of ending e-mails with, “Reply to this immediately,” give the creator a chance to reply immediately. The ones who are going to reply quickly are going to do so whether or not you request a prompt reply (and they’ll wish you had given them a chance to offer great customer service without such aggressive demands), and the ones who aren’t going to reply quickly aren’t going to do so whether or not you say that. An exception to this would be if it truly is an urgent matter–in that case, put “urgent” in the subject line of the e-mail. When you send a creator a question, send it to him/her once, not twice back-to-back in different mediums. If I’m at my computer when I get a question via e-mail, Kickstarter’s message system, or our “Tell Us Anything” form, I often reply within minutes–sometimes even seconds. Every now and then I reply to a message right away, and as I click “Send,” I get the exact same message sent directly to me through a different platform. When that happens, I feel like the person didn’t even give me a chance. It goes back to the first item on this list: Give creators the benefit of the doubt until they no longer deserve it. When comparing Kickstarter prices to the future discounted retail price, remember that a shipping subsidy is almost always included on the KS pledge price. This is kind of a general PSA that I think backers should be aware of. Say you see a reward–a board game–for $39 on Kickstarter, $50 MSRP. You might think, “Oh, I can wait until I see this online in a few months discounted down to $35. I’ll wait until then.” But keep in mind that about $10 of shipping subsidy is built into that $39 pledge. So if you buy the game for $35 on an online store later, you may have to pay for shipping on top of that. Regardless, it’s important to consider that creators determine the MSRP of their products, but they have no control over what retailers will actually charge. Creators do their best to create appealing price points for backers, and it’s great when backers can put themselves in the creator’s shoes when looking at the price less the shipping subsidy. It’s often quite low! Also, keep in mind that your pledge makes a difference for things like stretch goals–by backing the project now instead of waiting until later, you have the power to make it better for yourself and everyone else. The use of threats is not an effective tool for getting what you want. Sometimes I’m afraid of backers. When a backer demands or threatens me, my response is based on trying to prevent them from trolling Stonemaier Games rather than trying to deliver something awesome to backers. Please don’t make creators fear you. Nothing good comes out of fear. There has to be a better way to approach a creator than to threaten them. My goal in this post was to keep it positive and constructive, and I hope I stayed true to that goal. I’d love to hear from other creators in the comments who can relate to these concepts, and most of all I’d love to hear from backers. Do these ideas ring true to you as ways to elevate crowdfunding for everyone? I’ll tell you that as a Backer for nearly two dozen projects and a successful project owner twice over, many of the items on your list resonate with me. I would, however, combine many of them into three basic areas which subscribe to three of the seven virtues: Temperance, Charity, Patience, and Kindness. Finally, Kindness is the ability to display a positive outlook or cheerful demeanor and best expressed in #s 6, 8, 9, 19, and 20. While these may be, at best, some good tips for folks, the Golden Rule has remained for two millennia for a reason…it works! Great post, sounded very cathartic! Ha ha. :) but very true on all points. I especially agree with positive affirmations. There’s plenty of people who will tell you what’s wrong but in our busy schedules sometimes we forget to express positivity when something is right. KS is a tricky thing as it’s not really a traditional market place. Some may treat it as such but I enjoy being a part of the process. Your constant positivity is awesome and your dedication to publishing is incredible. Enjoy the blog immensely! Royce: “Cathartic” is a good word. I’ve been accumulating this feedback for a while, but I wanted to find the right tone to share it so it would do some good. :) Thanks! Thank you Jamey for the great post! I think it’s so important for backers to see the other side of the table and what a creator is going through. I was a home builder years ago and I remember how tough it was dealing with the inspectors! But, I knew they had a job to do so I tried to understand their position. Years later I because a building inspector and all of a sudden the tables were turned. I realized just how much most builders just wanted to do their job and be successful so I tried to give them constructive help rather than show my power. Both sides should respect the other and learn to help each other. This applies to the creator and the backer. Stan: That’s a great comparison–thank you for sharing. I can definitely see a parallel to Kickstarter, and I really like the idea of both sides respecting and valuing each other. This is one of those posts that very succinctly and eloquently sums up so much of what is in my head. I wish Kickstarter would attach to their terms, or at least broadcast it far and wide. I have backed over 200 projects and though I have created a few I have never enjoyed the success of Stonemaier Games. Going forward I will always keep these ideas in mind. Thanks Casey! I’m glad they resonate with you. Regarding customs fees, what often happens is that the sender puts a lower value on the declaration to bring it under the limit the recipient desires. So the backer pays the normal price, but the declaration “fudges” the value… maybe you could suggest that the next time someone comes with such a request? Tor: Thanks for your comment. A couple things: The main point was that I think it’s best and fair for backers to not ask for exceptions, regardless of what they are. A secondary point in response to your comment (as I do get backers asking for us to artificially lower the declared value) is that it’s illegal. The amount we list is the manufacturing cost of the game, which is often much lower than any customs threshold. So that’s how I usually respond to such requests. Jamey, thank you. This is so apt, so perfectly written. So on the money. Literally. If all backers would read this and think it all through, KS would be a much happier place. Not to bite the hand that feeds me. Our backers are outstanding. But I love the advice about empathy and thoughtfulness. It’s true in general, and all the more so in this independent, creative, individual community of creators and backers on KS. Thanks Alicia–I’m sure you can relate to all of the examples I gave in this post. Like you said, I’m just trying to make Kickstarter/crowdfunding a happier place for everyone. Hopefully this helps. Indeed cathartic, as Royce says, describes it well. I would not imagine that an intelligent person would rise any of the issues that you experienced. Some of the examples are even reaching the level of a nonsense. Though as we have a species of forum trolls it was bound to happen that we will come across Kickstarter trolls too. Thank you Jamey for the congrats. Re the demean: My intention was the same. I do not wish to insult anyone. I simply highlighted that a person’s patience and their actions are parts of an intelligent human behaviour. One of them is being empathic to others, in our case being able to put yourself in others shoes. Great to see so many people interested in this topic. Kickstarter can be a great place. We should not forget that the means to it rests on the shoulders of both the backers & creators. Konrad: Absolutely, I believe that it goes both ways–creators do need to do a better job at a lot of things (including myself). That’s the major focus of my blog. :) Hopefully there aren’t still creators asking for more money from backers after the project is over! Not a creator, but have been very active and enthusiastic towards a number of projects. Jamey, your campaigns ate great and have generated amazing community spirit, but this you already know. You are the example I always use when talking about how to run great campaigns. Thanks Chris, I appreciate that! To preface, I have backed 2 of your products (Viticulture and Treasure Chest) and given the quality of both the products and the campaigns, I am very likely to back most/all of your projects going forward. I also very much agree with the vast majority of your comments above. #19 – This one really upsets me (and I realize as a blog post I should not get worked up about it…). The short is, as a backer, I don’t care about the shipping. And while comparing, I don’t care about the relative cost to the creator. But it is entirely fair to think to myself about MY end costs in each method of purchase. There are plenty of arguments to be made for why you should still back it (encouraged the production, KS exclusives, get it early, etc). But you shouldn’t discount that as a backer it is a very relevant comparison point. Anyway, enough rambling. I really do appreciate your campaigns and your products, and do appreciate as well the other 18 points you made. I have got to agree on the #12 shipping part, I have seen countless and backed at least one boardgame project where there was no way, 0 that the game would ship to backers by the estimated date. Even if they had the game at 100% and ready to send to the printers once they knew the numbers they needed. Unrealistic estimated dates are pretty much the one and only reason that I have stopped kickstarting, well the Canadian exchange plus shipping definitely has had its effect there too. I should note that I haven’t backed a Stonemaier game period so none of my anti-KS feelings were due to Stonemaier. After recently getting Viticulture I wish I had been able to try it before the Tuscany KS because I probably would have backed it. And You nearly had me on the Treasure Chest, but a new child and ensuing lack of funds just held me back, I plan on reconsidering if a Treasure Chest 2 makes an appearance. Andrew: Thanks for sharing your thoughts here. I have a few responses. The first is also in response to Jeff’s comments here. First, as for the estimated shipping dates, I agree that some creators might calculate these dates based on the “best possible” shipping date instead of a “calculated estimate with some buffer room.” Other dates might be completely unrealistic–those are usually quite easy for a backer to identify up front. I think creators (including myself) need to continue to improve our process for estimating these dates and to add in plenty of buffer room, and we need to keep backers in the loop throughout the process. Second, I talk about empathy a lot in this post, and empathy is a two-way street. I completely agree that it’s important for a creator to put themselves in the backer’s shoes when considering the reward price. It’s money out of your pocket either way. The flip side of it (this is an opportunity for you to put yourself in the creator’s shoes) is that we only have power over two numbers: The reward price and the MSRP. For Viticulture, for example, on the recent Tuscany campaign, Viticulture was a $49 USD add-on (including free shipping via a $10 built-in shipping subsidy to Canada). That’s about $58 CAD. The MSRP for Viticulture (not including shipping) is $60 USD (about $72). So I was charging $39 for a $60 game. Your retailer chose to discount it down to $45 CAD, a generous discount. That’s the retailer’s choice, something creators have no power over at all. Creators need to know that the retail versions of their are going to be discounted as we calculate our reward prices. We need to pick reward prices that respect backers’ hard-earned money. But the fact of the matter is that we do have to pay shipping fees while your FLGS does not, and I want backers to keep that in mind as they look at reward prices. There are many other reasons to back a well-run Kickstarter project beyond the price as well. I once had a training on “fulfilling expectations” that has stuck with me for years. Underpromise and overdeliver. If I tell you the box will be at your door in 7 – 10 days and it is there on the 11th, I have created unhappiness. If I tell you it will be there in 10 – 14 days, and it is there on the 10th, you open front door so very happy to find box of joy. I offer that creators need to use “worst case scenario” thinking to devise estimates, and create happy backers when they get rewards early. I have lost some of my kickstarter joy when I realized I had 9 – count ’em 9! – projects in my que…each one late on delivery. The problem with a worst case estimate is: worst case is it never delivers. Anything earlier could lead to being late if worst case hits. So a sensible estimate is something that is most likely to happen. And here especially inexperienced creators can easily underestimate the risks for potential delays. But even experienced creators may not foresee a specific delay just because it never popped up before. Next thing is, maybe the creator has a best case scenario of delivery in about 9 months, a (in their opinion) worst case scenario at around 24 months and a most probable delivery time of 12 months. If they now went for the worst case, a lot of possible backers would simply not back because of the two years wait they see before them. For many backers everything over a year is too long. I can tell this post was speaking from the heart and through experience. As a Backer of numerous Kickstarters, these are words we need to hear. Kickstarter campaigns develop much more of a relationship between the Creator and the Backers than the normal act of purchasing an item in the store. There is the opportunity to be directly involved in the development and marketing of a product. Because of that direct contact and open relationship, Backers do need to be more empathetic and thoughtful in their interaction with the Creator and the Campaign. Thanks for challenging us to think deeply about our involvement in a Kickstarter campaign. I have also been a freelancer on various rpg and tabletop Kickstarters. Your points #2, #7, and #13 are especially pertinent to freelancers working on the project. We need to thoughtful and careful in how we communicate with the project Creator and how we interact with the Backers of the campaign. As part of the team, we need to be supportive of the Creator and a positive influence on the campaign. TR: I like the connection you made to freelancers, as they’re an invaluable part of the overall Kickstarter experience. Thanks for your comment! #4.. You can cancel your pledge in the middle of the project?! How? Or, do you mean, cancel your pledge during the funding period. As far I know their isn’t a way to get that money back aside from legal action. There are a number of projects from which I would’ve *loved* to get my money back. But the creators already cashed my check and, then, made their unfortunate decisions with the project. Tom: Absolutely, you can cancel your pledge any time during a project. When the project ends (when time expires on Kickstarter), you can request a refund from any creator. It’s easiest for a creator to give you a refund within the first 60 days after a project ends, as they won’t lose the 10% fee charged to them by KS/Amazon. After that they’re charged the fee. You can still request it, though. For my projects, I specifically have a money-back guarantee that continues until 1 month after you’ve received your Kickstarter rewards. Please keep in mind that #9 on the list can play a big part in how a Kickstarter creator replies to your request for a refund after the project ends. I’m sensing some disillusionment and maybe a hint of anger in your comment, so you may not get the best response from creators if you approach them that way. I can appreciate your money-back guarantee. It’s a vote of confidence that is refreshing. I’m not angry, just disappointed. I’ve never made threats; that just seems counter-productive and mean to me. Over the past two years there are a number of publishers I’ve decided to no longer support with either money or energy, as either a backer or believer. That’s not to say that they can’t repair the damage. But in capitalistic endeavors, the publishers/creators who disenfranchise their customers tend to fade away. I hear you, Tom. I’ve experienced disappointment as a backer too. I think you always have it in your right to ask for a refund, and the creator has the right to say no. But in the end, as you say, a lot of it comes down to creators tarnishing their own reputations, and backers respond accordingly the next time those creators return to Kickstarter. I agree most of all with the whole “give the creator a chance to ANSWER any concerns/questions/etc” So many people like to jump on a creator for not answering emails/comments/questions within minutes. I also never understood people who cancel a pledge on a project that is clearly not going to make their funding needs. Why? Because you jumping ship is going to make things better? It’s not indiegogo. If the project doesn’t fulfill, you keep your money anyways. The only thing I have an opposing thought on is #19. Whilst shipping is often included in things, there’s often shipping added to pledge levels depending on where you are. I say this as a Canadian. I would say at least half the projects I look at, have added shipping to Canada; regardless of where the project comes from. It can make it hard to figure out value for some things. There was a few games I really wanted to back, but with an extra $20-40 in shipping(regardless of whether that was a reasonable price), it made it too pricey to back. Darren: I certainly appreciate your first point. I’m fortunate to have this as my full-time job, but even I can’t answer every question within minutes (I have to eat/sleep/etc). Most creators have another full-time job that they have to work around when running a campaign. As for shipping, you’re right that added shipping is something a creator has some control over, mostly based on their comfort levels and research on international shipping. I think it’s perfectly reasonable for a backer to not back something due to high added shipping fees or customs-unfriendly projects. I would add a view regarding #19 that, without the pledges in the Kickstarter and with everyone waiting for a discount that may or may not come later – the project may not even get funded and may not exist at all. Sometimes you need to pay a couple bucks more just to make something happen. I guess this is part of what happens when Kickstarter becomes more mainstream – it turns into more of a store, rather than the funding of creative enterprises that otherwise wouldn’t exist. Another amazing post, Jamey – thanks. My biggest concern comes from #12 and how the perception that KS is about taking a risk on someone’s project has shifted to viewing it as a pre-order system. Yes, some project creators have failed in their commitment to their backers and did not provide what they promised, whether out of incompetence, malice, or just plain bad luck. And sometimes the anger is justified, especially when the project creator has purposefully defrauded the backers. But there is so much anger that comes so quickly when a project is just a month late, I feel that the overall backer community has lost sight of what KS is all about, and so much of it comes down to the “Shipping Date.” As you said, that should really be a proposed date, but people lock so hard on it as a fact and set their expectations around it, only to be let down when a project is weeks or a month late. How do we change this perception? Can we actively shift how the backers and creators communicate around this issue? Or is it always going to be a problem? Dave: Thanks for your thoughts. In my opinion, the first step is to stop using the word “late.” With that word comes all those expectations and anger you mention, as well as shame. I think a more accurate phrase would be “incorrect estimate.” I think that’s the first step to changing this perception, and it’s something both backers and creators can change. I agree completely with Dave- people have stopped thinking of Kickstarter as a way to encourage cool things to exist, and turned it into a giant shopping cart. I think some of the foundation of this is how projects structure their tiers- if reward tiers follow expected retail values of items, then people view it as buying retail, and have the expectations of a consumer. If tiers are structered as supporting pledges, with items as added value ‘thank yous’, rather than those items being the sole purpose of the pledge, then people will see them as rewards, rather than product. I feel like the shopping cart mentality has meant that some worthy projects are failing because they don’t have retail appeal, and that makes me sad because Kickstarter was supposed to be for people making dreams happen, even if those dreams wouldn’t be ‘marketable’. I wouldn’t mind seeing the Estimated Delivery Date eliminated completely, and maybe instead replaced with mandatory updates every 6 months, curated by Kickstarter, that had specific questions about project progress that had to be answered. Jamey… you are the best and a lot of other people can learn a lot from this write-up. Thanks for the outstanding n consistent customer service that you’ve always provided me whenever I have had a question. Ozzy: Thanks for your kind words! First off, THANK YOU so much for all of the articles that you write. It is helping me out GREATLY and I just wanted you to know. I have backed almost 3 dozen projects at this point and I can not agree with you more. I try in every way to think to myself “when my game launches would I want to hear from a backer saying XYZ” before I post anything. Not that I have had anything bad to say. I am usually just asking for a clarification on the game or thanking them for an update on stuff (usually shipping like when things got held up by a strike before Christmas). Pat: My pleasure! As a creator, I really appreciate that you try to put yourself in our shoes. While we’re here to serve backers, I think we can serve backers the best if backers ask themselves those types of questions. Here’s hoping you (or someone) would write a similar post directed towards Kickstarter creators, because there are a lot of behaviors which would need tweaking and learning from. While your campaigns are utterly wonderful and I’m sad to have missed them, Jamey (and ended up paying twice-over to get Tuscany and Viticulture set in the aftermarket), you’re an exception to the rule. In terms of percentages, there are actually less ‘problematic backers’ than there are problematic campaign runners and campaigns. Kristo: You’re in luck! The other 200+ entries on my blog are specifically geared towards Kickstarter creators so they can do a better job at serving backers like you. In response to your point #15…I appreciate you and your games enough that you are on my short list of auto-buy/auto-back publishers. Any product you produce, unless explicitly one that would be a redundancy (new edition of a game I have or similar), I will buy sight unseen just based off of the quality every aspect of your company. I’m sure #19 is important to the producer of the game, but not so much to the consumer. As the consumer, I’m looking at my end cost vs what I’m getting. Sorry, but shipping isn’t something I get. When I shop for a game, I look on Amazon, because as a member of Prime I can often get free shipping. That’s part of my total cost. It doesn’t matter if the cost of the game on some other shop’s site is significantly lower if they are nearly the same cost once you add shipping. If someone is saying, “Oh, I can wait until I see this online in a few months discounted down to $35. I’ll wait until then.” – what they are saying is that the $4 to back it now doesn’t get them anything important. They’d rather have the $4 than whatever rewards are coming for backers. The game isn’t $29 for them, that’s the price point you are discounting your profit at – it still costs them $39. You said: Creators need to know that the retail versions of their are going to be discounted as we calculate our reward prices. We need to pick reward prices that respect backers’ hard-earned money. But the fact of the matter is that we do have to pay shipping fees while your FLGS does not, and I want backers to keep that in mind as they look at reward prices. There are many other reasons to back a well-run Kickstarter project beyond the price as well. Your post wasn’t aimed at creators, but at the backers. Again, as a backer, I only care about my bottom line. The fact that your price is lower than what a discount retailer might set doesn’t matter to me – its still NET HIGHER since I have to factor in shipping. Whether there are other reasons [for me] to back depends on the project. I might not care in the least about getting 3 bonus cards, or alternate art, or getting it a week before my FLGS. I might prefer to order from my favorite online story not only to save the $4, but also I might buy 3 games from them total and earn free shipping. All I’m saying is that your post sounds like you are saying, “ignore/forgive the creator for having a higher price because they have to include shipping in the cost”. I most certainly shouldn’t have to do that. As a potential backer, it is certainly fair for me to say, “why should I back this instead of waiting since it’ll cost me more for the game if I back (and I have to pay up front)”. Charles: My point was actually quite different from that. Rather, it’s that we can’t control what secondary vendors will charge you for the retail version of our product. We control the MSRP, but that’s it. So we can do our best to lower the price to a level that is appealing to backers knowing that other stores are eventually going to discount the final product, and backers have the right to pledge or not pledge depending on that price. Of course it’s fair for backers to use the cost as one of many factors to consider if it’s worth backing. Part of what I was trying to convey in the post is that when backers think the creators are overcharging, it might benefit them (as human beings) to put themselves in the creator’s shoes for a second and look at the pledge amount less shipping. #19: Consider all the factors before complaining that the creator is overcharging. I do understand what you are trying to say, but reading #19 as you wrote it didn’t come off like that to me (and at least one other person). Good points but sadly it truly is a two way street. I personally cancelled my Kickstarter account fed up with unresolved issues. Mantic games was what pushed me to that decision. Waiting a year for missing stuff is ridiculous and I have been pretty civil in all my contacts. Other companies have performed near bate and switches. Cool mini or Not said a project would need another $12 for shipping so I backed. 9 months later I was told the real shipping was over $60 and I could pay that or they would take the difference out of the rewards. I won’t even get into the Up Front fiasco ouch. Anyways for every game company like Stonemeier Games just trying to make an honest living, there is another company at the opposite end of the spectrum. For me I am done with Kickstarter, it’s just easier to deal with retail at least then I know exactly what I am getting, something that is no longer true with Kickstarter. Ryan: Thanks for your comment. It’s absolutely a two way street. I’ve written about one side of that street for over 2 years now (the “creators can do better” side), so I thought it was time to write one entry for backers to consider, as they play a huge role in the success and tone of a project. Quick point regarding exceptions. As a general rule, I say no. But, if your backing with a considerable amount of $ or willing to chip in extra $ for the exception then its possible the request could be mutually beneficial. I think with exceptions its important that backers keep in mind the load it places on a creator and be willing to at least offer something extra for it. However, I agree with you 1000% that exceptions lead to errors, and should be kept to a minimum. Jason: True, sometimes extra money can help. More often than not it’s a matter of time and error prevention (at least, for me). As a correlary to #10, Always check the project updates *before* emailing the creators with a question. 9 times out of 10, the thing you want to know is in there. i know that Stonemaier have gone out of it’s way to make shipping less costly (and i wished that other creators would follow your model), so kudos to on this front. but no.19, more often than not, only applies to US backers. as a non-EU international backer, waiting for it to arrive in retail is much more economical. rftg: That’s a fair point. Sometimes we can find great solutions for shipping to non-US countries, but sometimes the solutions just aren’t in place yet. In those cases, if a non-backer really wants the product to exist (and exist with a lot of stretch goals), they can support it in ways other than financially (i.e., they can share it on social media). There’s certainly no obligation to do so, but I like the idea that crowdfunding is more than just about the money. I have some Backers who are MIA. They represent less than 4% of a couple thousand Backers. I have reached out to them all personally at this point (in addition to all of the traditional ways), to no avail. Is this non-repsonse rate common? Do I simply keep emailing them? How often do you contact your MIA Tuscan Backer? I really want to redeem their rewards, but I can’t. I feel as if I will never be able consider my Kickstarter campaign complete as long as I have these unfinished orders to fulfill. Julie: I’ve encountered that too, and just like you, followed up multiple times to no avail. I think that’s very common. I think after 2 direct messages and e-mails to them, it’s their responsibility to follow through and contact you. If they contact you months down the road and you no longer have their items (a scenario I’ve wondered about), I would simply refund their money and move on. You can’t hold on to inventory forever. Thanks so much for responding. It is helpful to know that you have encountered this as well. I appreciate the advice. Another excellent post, in a long line of excellent posts! There’s certainly food for thought here, and although I always strive to be constructive, civil etc. when communicating with a project creator, I can only say “guilty as charged” to a few of them. A comment for #11. I would never ask a project owner to lower the cost for me or otherwise go out of their way to give me special service – but living in the EU, for the many non-EU-friendly projects I have often asked to have the stated game value (on the package) to be lowered or merely be set to the production cost of the game (rather than the MSRP). Is it more work for the creator? Certainly. The thing is that otherwise a $30 game – with $15 shipping – suddenly costs me $80 because of customs. This will obviously influence my willingness to back any such project. Of course, as it’s been pointed out above I could simply wait for the retail version, but if I can help create a better product by backing it now, that’s what I’d like to do. Regarding #12, I do think there’s such a thing as a project being late. Much as I’m willing to cut creators – especially new ones – a lot of slack, at a certain point my patience simply runs out. A certain game project which shall remain unnamed had its estimated delivery in June 2013, with no end in sight. I wholly agree that “there’s nothing shameful about taking your time to make something well instead of rushing it and delivery something subpar”, but in this case I think we’re way beyond simply “taking your time”. How this is handled is important, of course. Said project has been a study in broken promises, bad communication, withheld information, creator absence etc, which of course also influences my p.o.v. Anyway, I digress. My message here is that too many projects have extremely optimistic schedules. Some of them appear to depend on everything working out 110% with small manufacturing companies in China, having wind in your back when the components are shipped across the Pacific and the stars aligned just right all the way :) Ie. in most cases there’s no way these estimates will hold up. I know that we’d all love to have our games sooner rather than later, and admittedly it is more tempting to back a project that’s half a year away rather than a full year (a fact that creators must be aware of) – but in the long run isn’t it better to leave a bit of breathing room in your estimates so that you *might* surprise your backers with an early delivery rather than….well, being late? Jacob: Thanks for your comment. Hopefully more and more projects will become EU friendly, but for those that aren’t, the accountants I’ve talked to have said that it’s fine for the manufacturing cost to be listed on the package due to the nebulous nature of Kickstarter (it’s somewhere between a purchase and a donation). The one thing no one can ever do is list a Kickstarter reward as a gift. Great post. I’ve only had one kickstarter experience where I was truly disappointed, and it was run by a fairly well-known publisher (I’m not sure how big they are but they’re certainly not just one independent designer). In that case, several disappointing art/component decisions came after the KS ended. Also they buried in their FAQ that the highest tier did not fully encompass “all previous rewards” even though it actually stated that it did include “all previous rewards” in the reward tier description. This was for a $150+ or $200 reward level which isn’t exactly chump change, since that’s equivalent to 3 to 5 regular games at full price. I’m still rather annoyed about the deceptive practice (which they blamed on Kickstarter, rather than admitting they didn’t think through their reward set-up) and the half-baked “offer” they made to “fix” it. I even ended up contacting KS asking if there was a better way to allow companies to organize the rewards to avoid these problems, but as far as I can tell nothing has happened on that. As someone who has backed several Kickstarters and been stung at least once, I find the sense of entitlement toward backers offensive. Many of us, when dealing with late (yes I’m using that four-letter word) projects, go out of our way to be kind and supportive when asking for an update or projected revised ship date. I myself often struggle to word things in such a way so I don’t sound angry or demanding, which is ironic, as I have every right to be demanding. You (the generic ‘you’) took our money and we want our promised goods! (or at least an update). To admonish us to remain positive and supportive is the kind of thing the worst Kickstarters count on to get away with their shenanigans for as long as they do. We all know there are plenty of crooks using Kickstarter now, and most of them are getting away with it, precisely because of this kind of attitude. If you don’t like the way your creditors are pressuring you, don’t ask for up-front money. Apply for a credit card instead. I’m sure they’ll be positive and supportive. I simply cannot believe the amount of dedication and professionalism you show. Whether its making high quality products, your dedication to the hobby or even these excellent posts that you keep coming up with. Hope you keep up the good work and you become a standard that all other kickstarters strive for. Thank you and good luck on the Scythe launch. Thanks Mohammed! I appreciate your words of affirmation, and I’m looking forward to delivering Scythe in 2016!